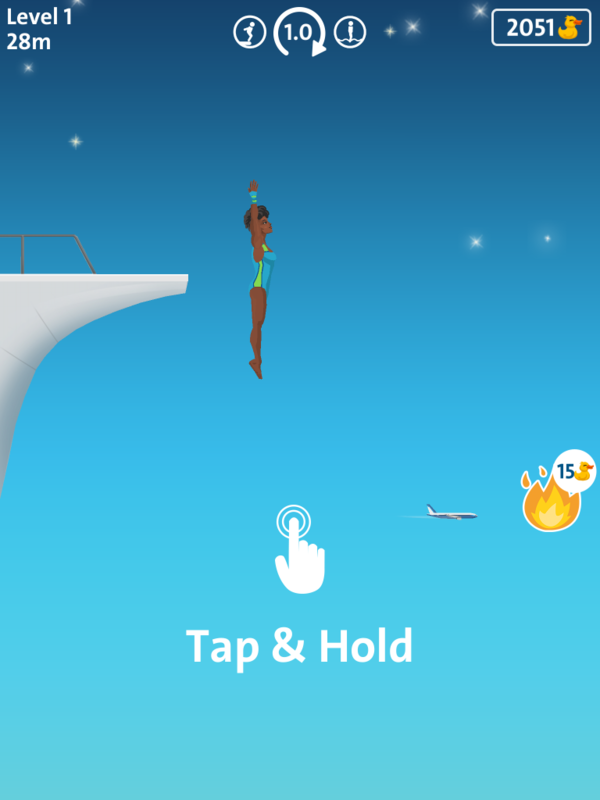 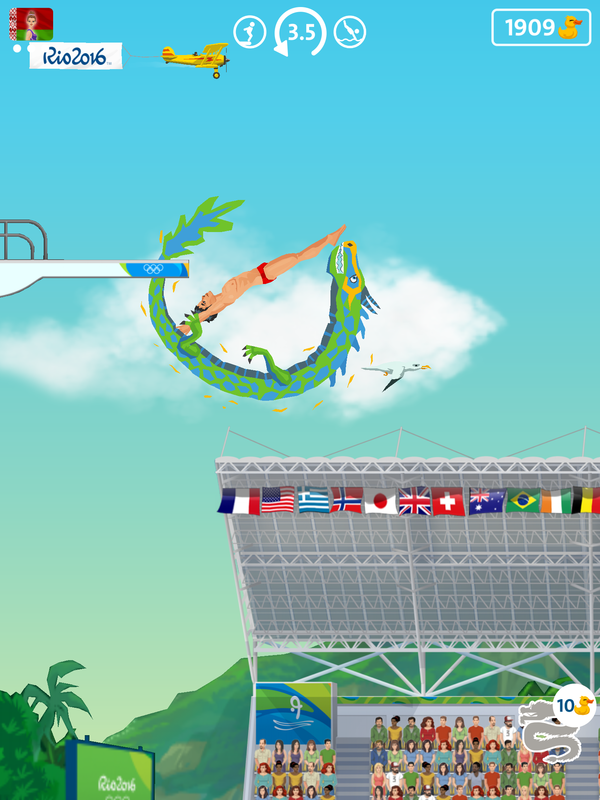 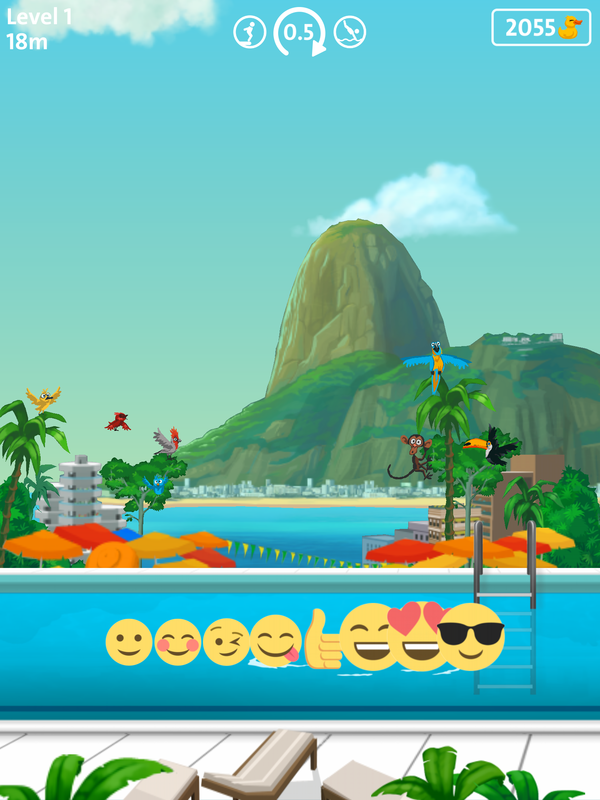 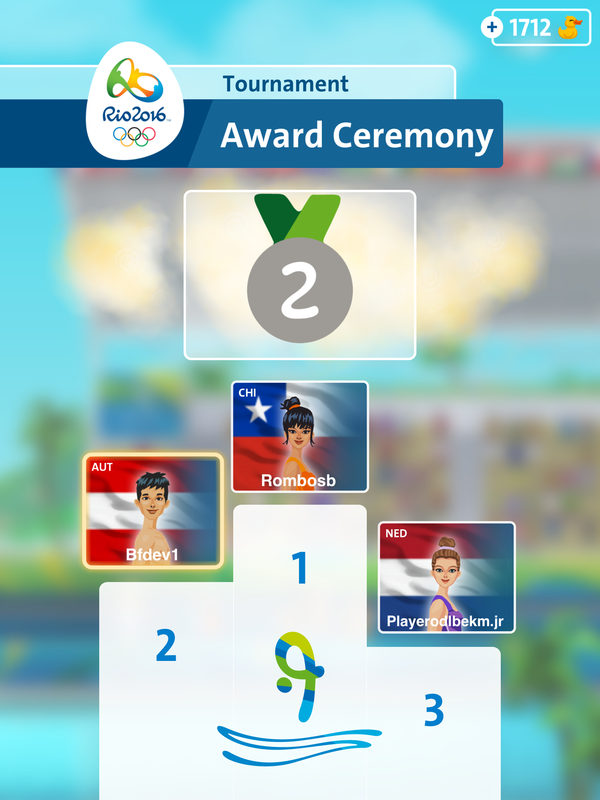 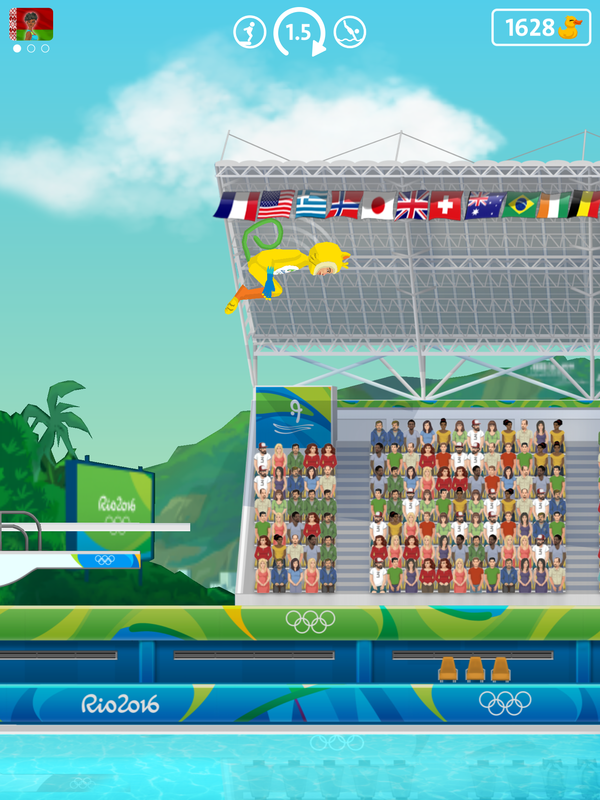 Glory awaits in this endless high diving action game, the Official Mobile Game of the Rio 2016 Olympic Games. 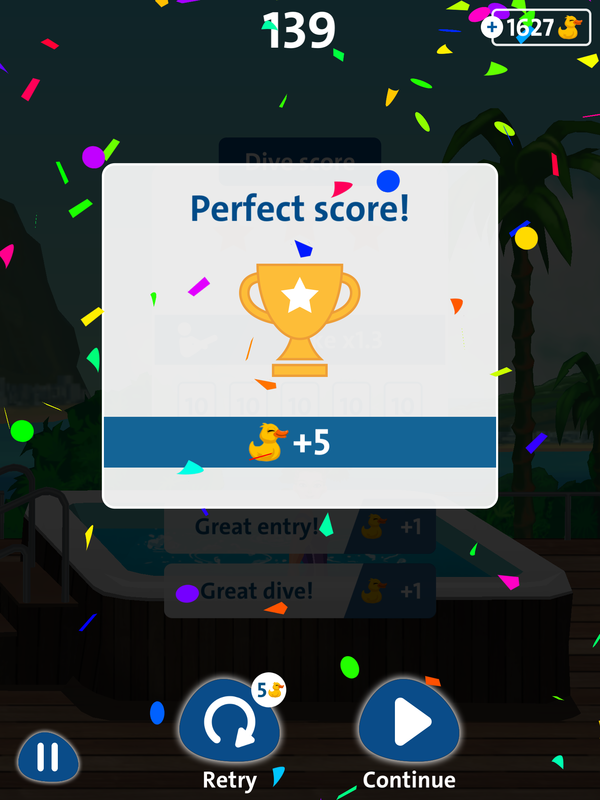 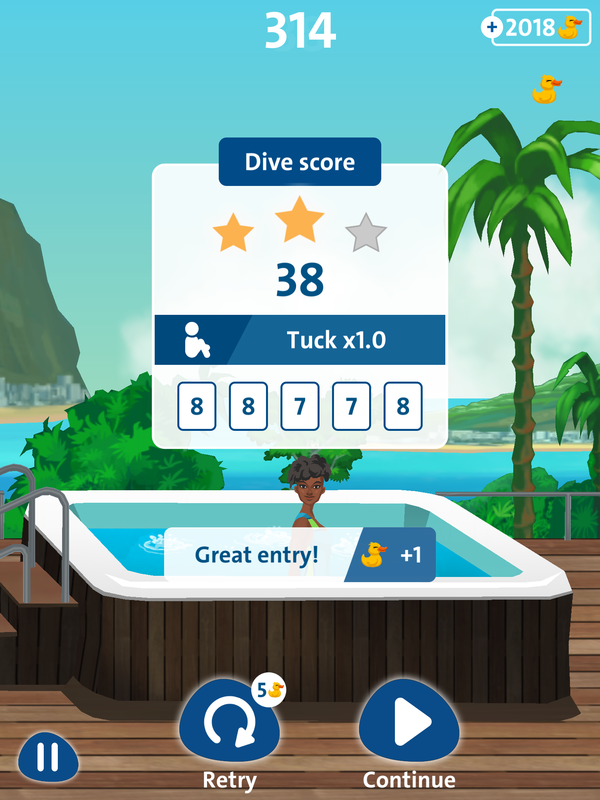 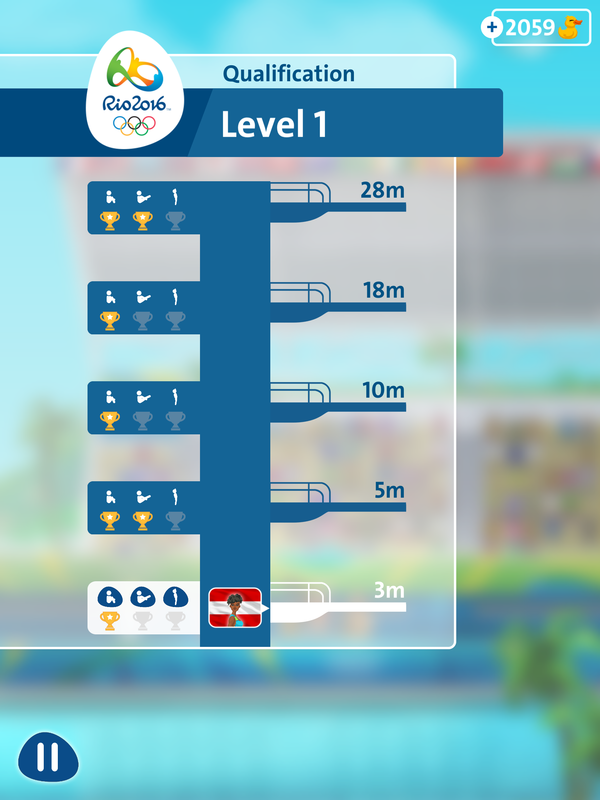 Nail your dives, progress higher and higher to more difficult dives and levels, post your best scores on worldwide leader boards, unlock new diving tricks as you compete your way to the top of the world wide diving ranks. 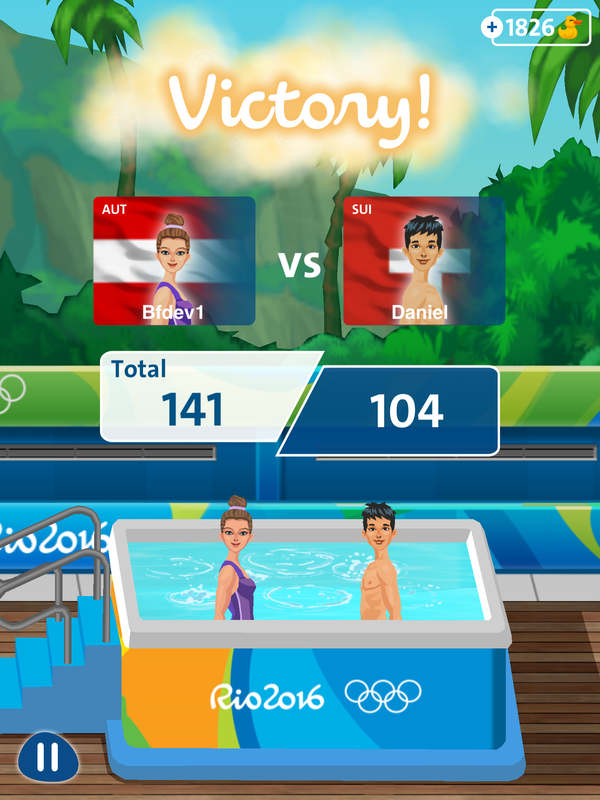 Splash down and unlock a team of aquatic athletes, representing countries from around the world, each with their own unique power ups and abilities. Become a Diving Champion by nailing your dive attempts and unlocking new dive styles like the Pike, Straight and Tuck! 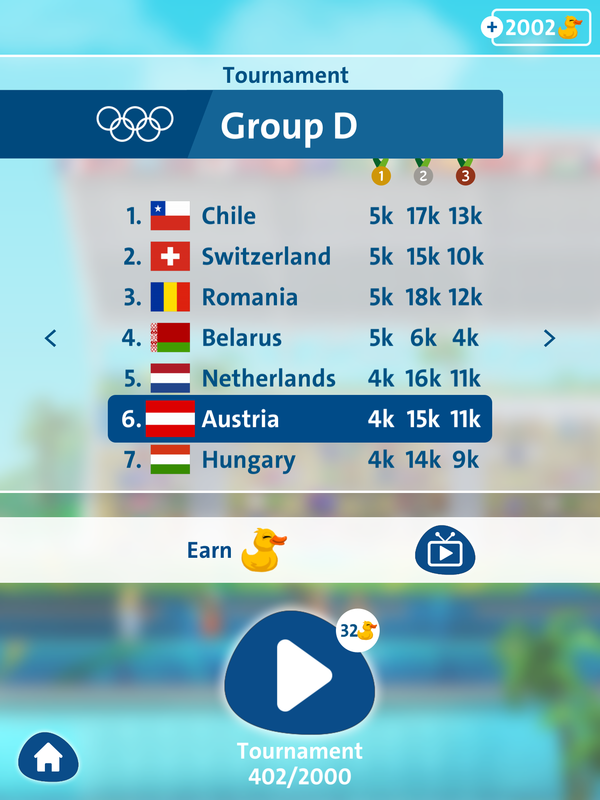 Worldwide leader boards will display your score against the world, while you contribute to your nation’s score to decide which nation takes home gold medal. 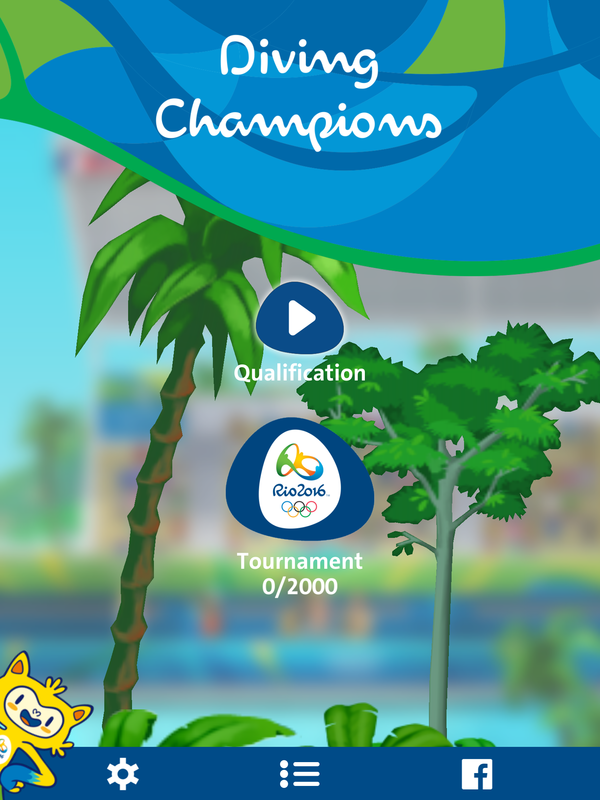 Align yourself with 1 of the 205 competing nations from the Rio 2016 Olympic Games and represent your country in on-going global competitions.